Together with FAT, NTFS is a very popular files system that records and stores data on hard drive, external hard drive and other data storage media. NTFS is the acronym for New Technology File System and it has become the most commonly used file system. Though possessing lots of advantages over FAT files system in some aspects, NTFS partition can’t escape data loss issue. For example, partition still may become corrupted or inaccessible due to various reasons. Many users deem that the only option is formatting partition and losing everything of the partition. However, the current data recovery technology enables uses to perform NTFS partition recovery. Lost data includes family pictures, study materials, working documents, music and videos collected for years, etc. Thus, data loss means serious disaster to most of computer users. Programs especial free programs that can recuse lost files are the most exciting invention to such situation. Free NTFS partition recovery software aims to search for every single lost file thoroughly and gets lost files recovered for free. 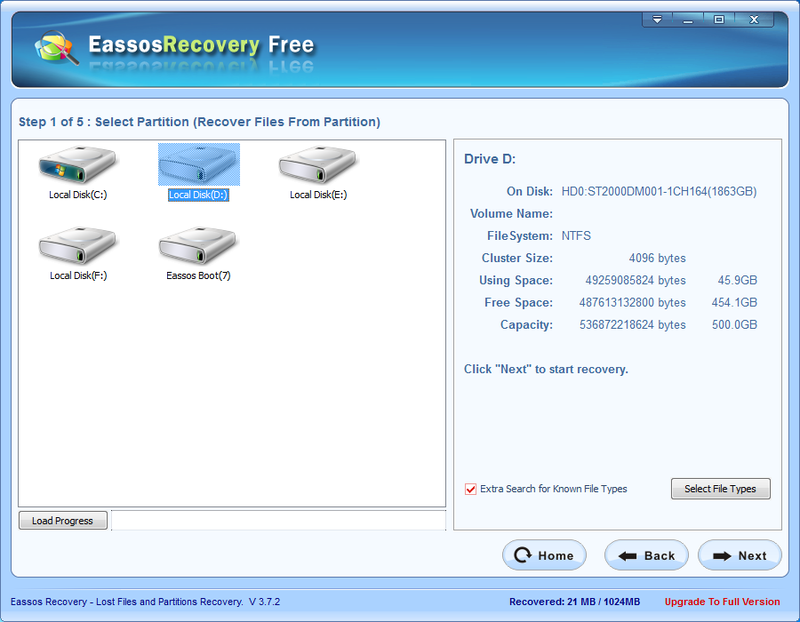 Eassos Recovery Free is NTFS partition recovery freeware which is compatible with all Windows versions. 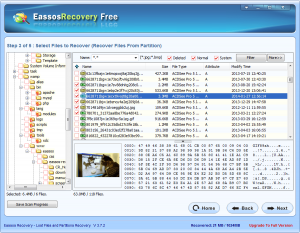 Eassos Recovery Free is a reliable and secure NTFS partition recovery program which allows users to perform partition recovery and file recovery 100% safely without causing any writing actions or damage to original data. 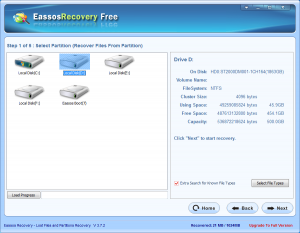 How to use this free NTFS partition recovery software? 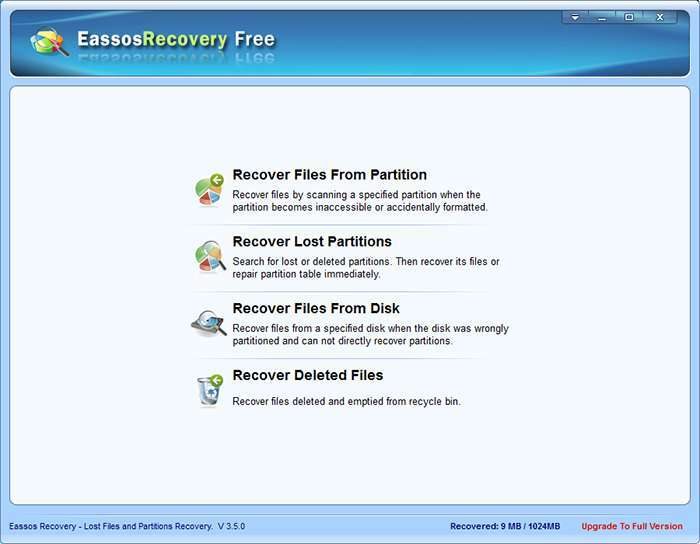 Step 1: Install Eassos Recovery Free and get it started. Select correct recovery mode in line with data loss situation. For example, the function “Recover Deleted Files” aims to undelete files. Step 2: Select the partition where lost data were saved, and program starts scanning process. 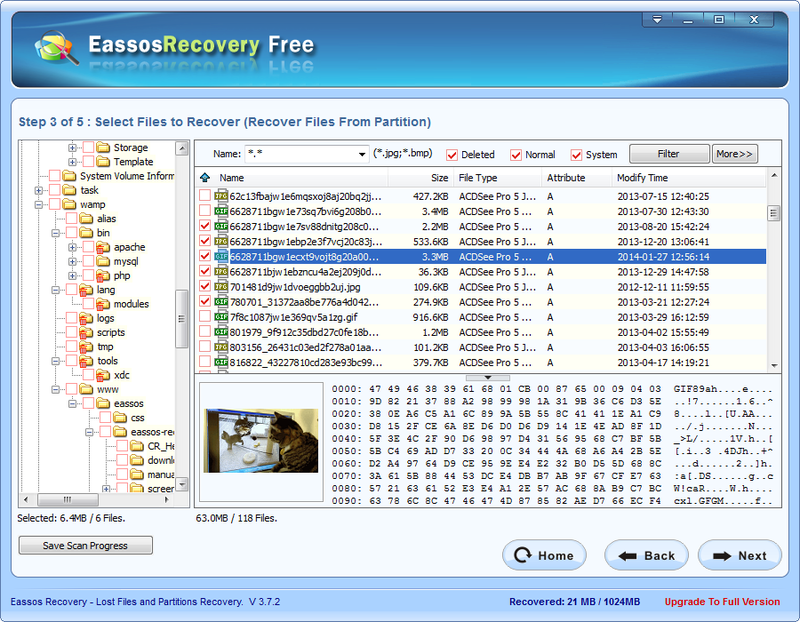 Step 3: Eassos Recovery Free lists files for recovery and uses can select and save files to finish recovery process. This entry was posted in Data Recovery and tagged data recovery freeware, Free NTFS partition recovery software, partition recovery by EASSOS. Bookmark the permalink.